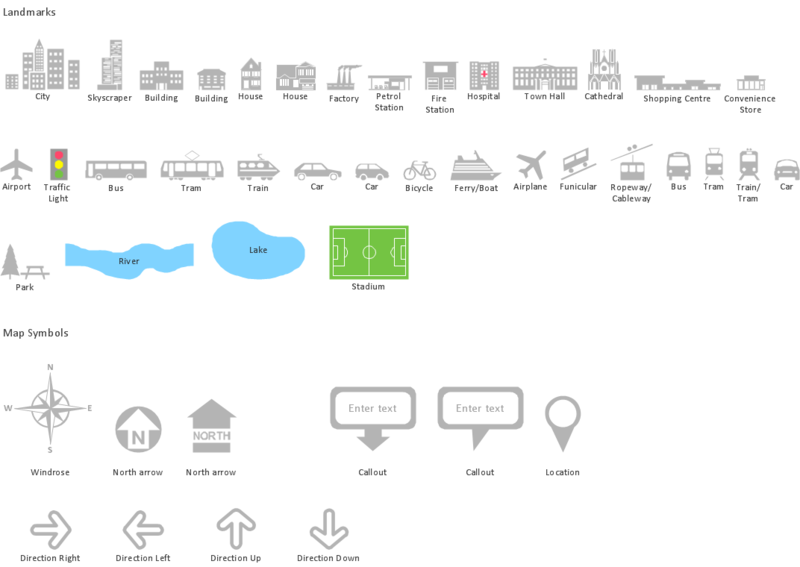 ConceptDraw DIAGRAM is a Map Infographic Design software for making spatial infographics. The Spatial Infographics solution contains samples and templates for filling by elements of spatial infographics. Sample 1. Spatial infographics design elements - Location map. ConceptDraw is a data visualization tool, which can help you to create a map infographics. Anyone can do this, it's that easy! Not everyone can make spatial infographics from scratch, ConceptDraw will help you to create your own infographics. It is convenient to represent various routes, directions, roads on the directional maps and navigation schemes. ConceptDraw DIAGRAM v12 diagramming and vector drawing software supplied with Directional Maps Solution from the Maps Area of ConceptDraw Solution Park is effective for drawing Directions Maps.